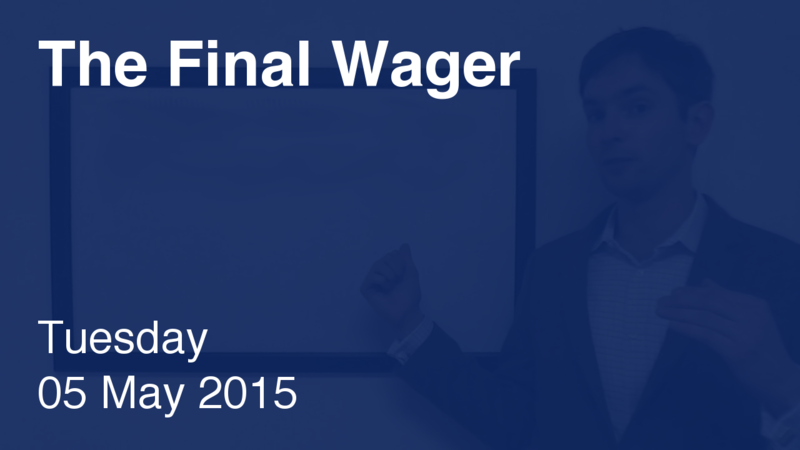 Tonight’s title is not The Final Wager. Tonight’s title is much, much longer. This is after he clammed on the last opportunity of Double Jeopardy!, a $1,600 clue asking for a French author. Dan’s odds of winning if he stands there and does nothing: 0%. He can do no worse! But he can do better. We call this a dominant strategy. And the math wasn’t all that difficult, either: 84 + 16 = 100, slightly more than half of 197. If you go on the show, please, please be mindful of this possibility.